HNHH Premiere! 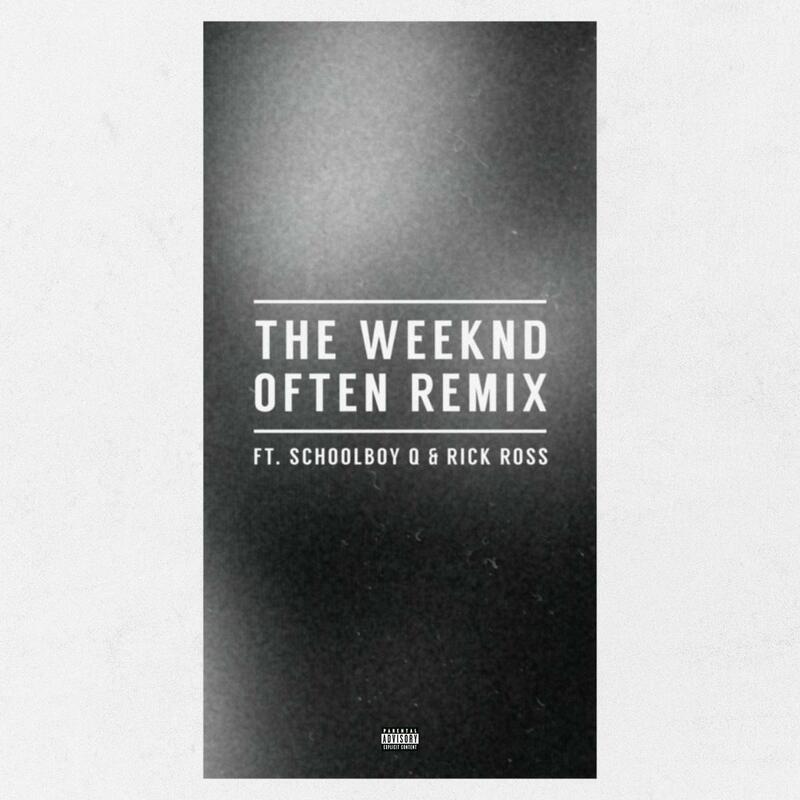 Check out a remix of The Weeknd's "Often" that features Schoolboy Q & Rick Ross. HNHH is excited to premiere a huge remix of The Weeknd's one-off single "Often." It features Schoolboy Q and Rick Ross, both of whom contribute powerhouse verses. The track was released out of the blue this year and stayed at the top of our Top 100 list for several days, with the message being clear: although this wasn't included on an album, the quality is just as high as we've come to expect from The Weeknd's mixtape/album tracks. Now, Groovy Q and Ricky Rozay are here to spruce the track up with some ill verses. You digging these rappers' contributions to the track?